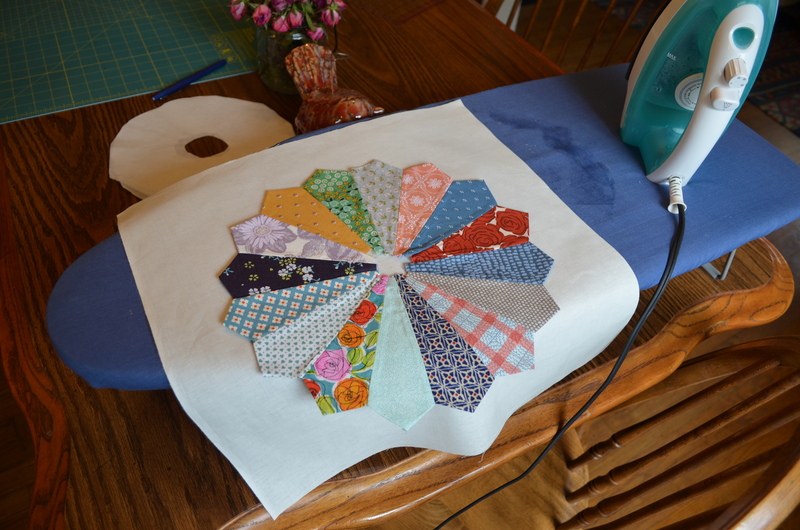 Dear reader, I specifically told you in my last blog post to remind me not to start a new quilt. You dropped the ball. 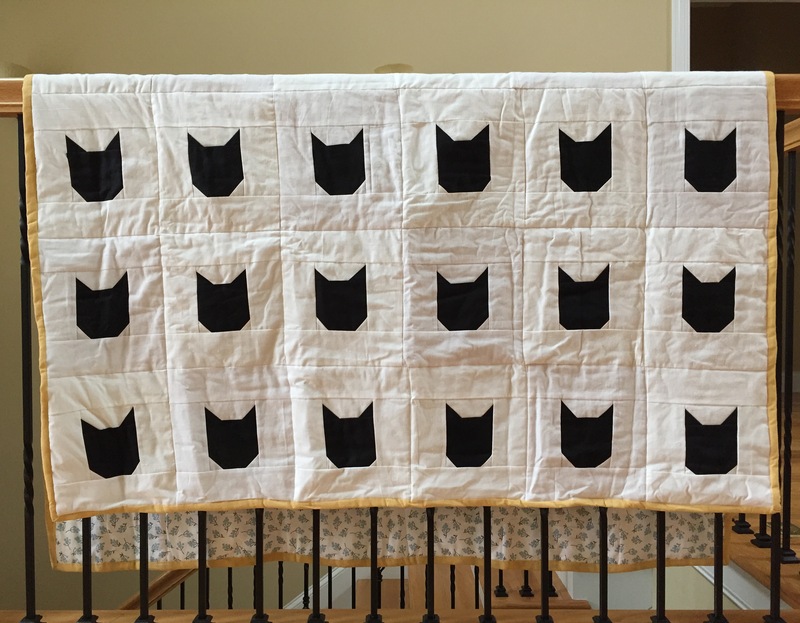 I recently made a baby quilt. Okay, okay, so this has more to do with my lack of self control than your accountability. 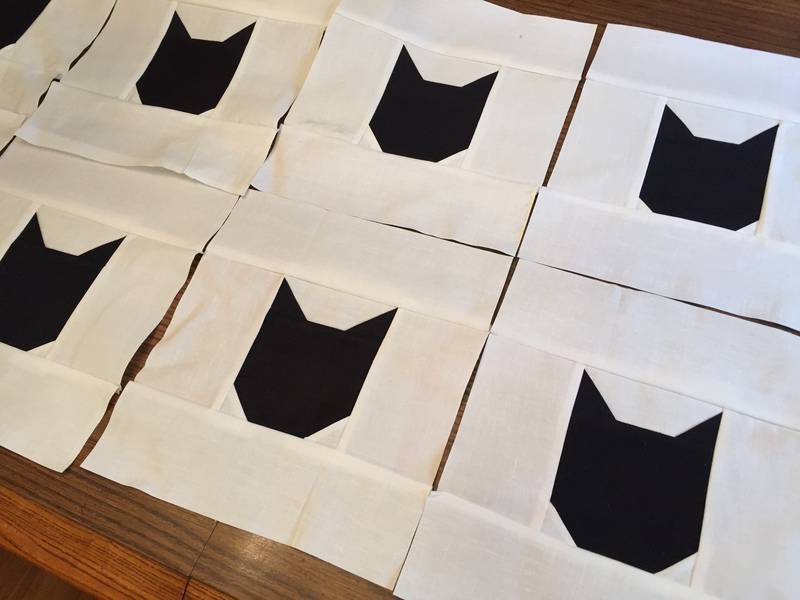 My little niece was born in January, and I had been itching to meet her, so to help temper my longing heart, I started cutting out squares of fabric. 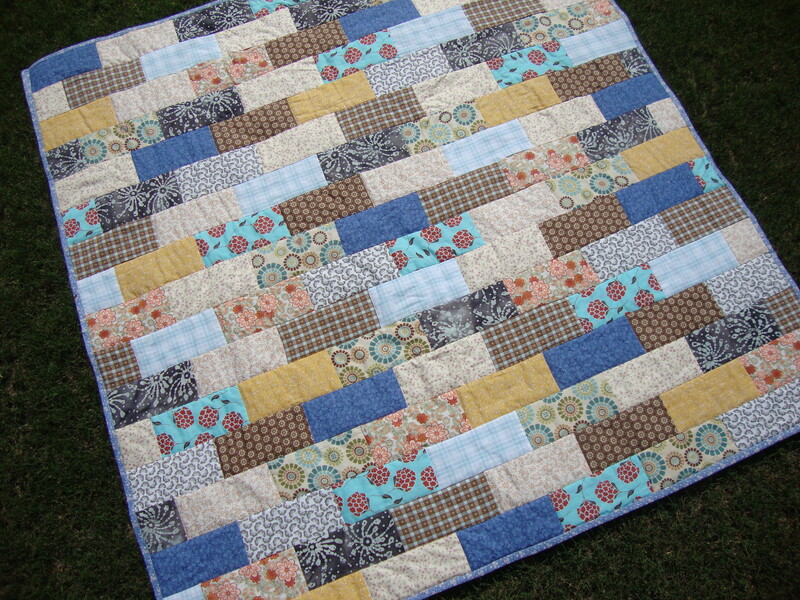 This quilt is a great pattern for beginners because you’re working with squares and straight lines. 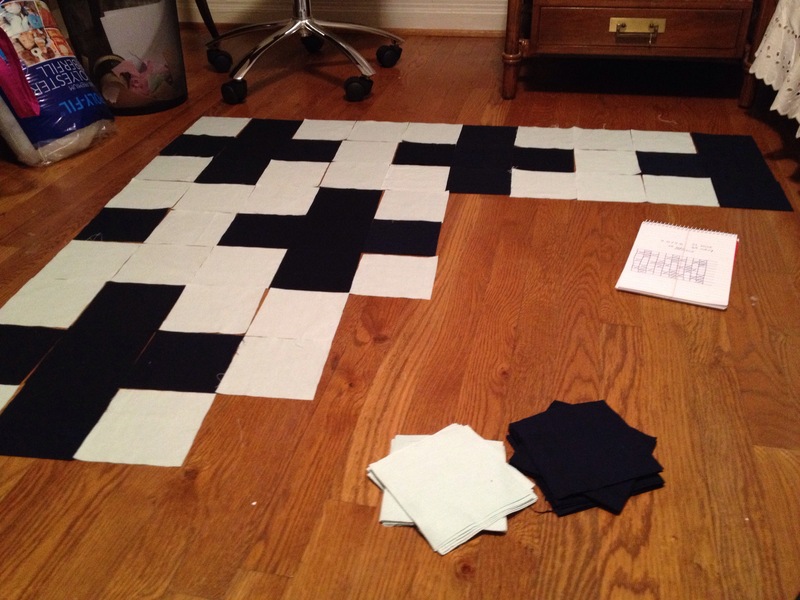 After cutting the 5-inch squares, arrange the pattern on a flat surface (in my case, it’s the floor). 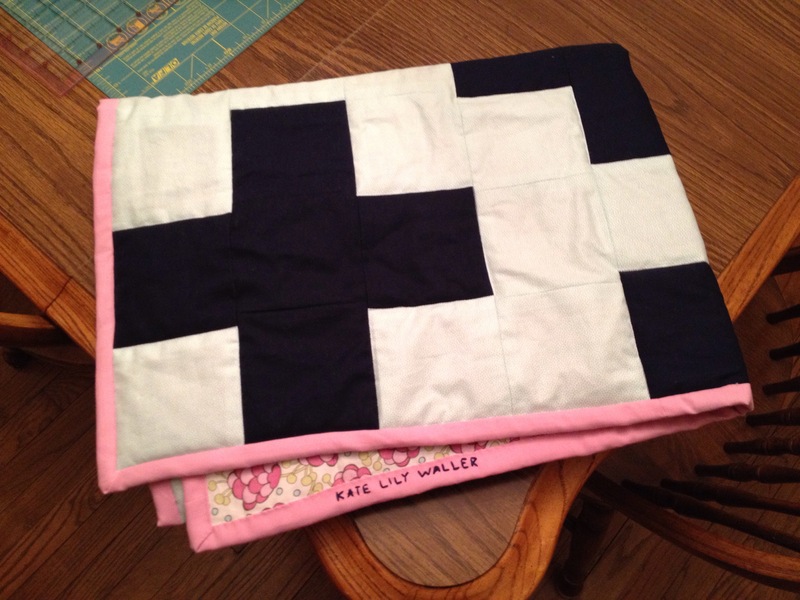 Begin sewing the squares together a row at a time (always right sides together). I used a 0.5-inch seam allowance with the basic walking foot on my sewing machine. 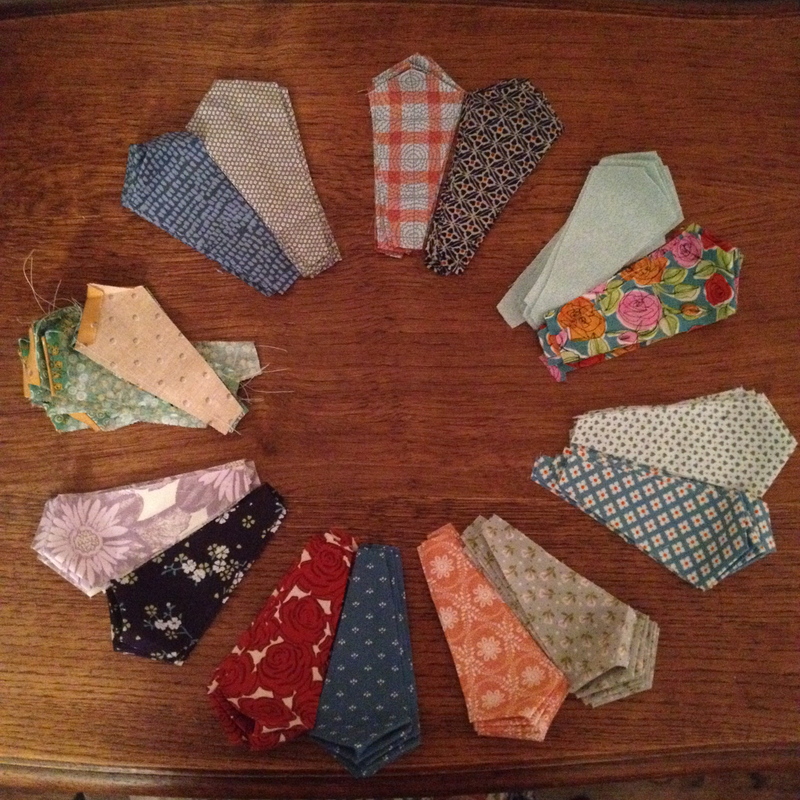 Then sew each row together. 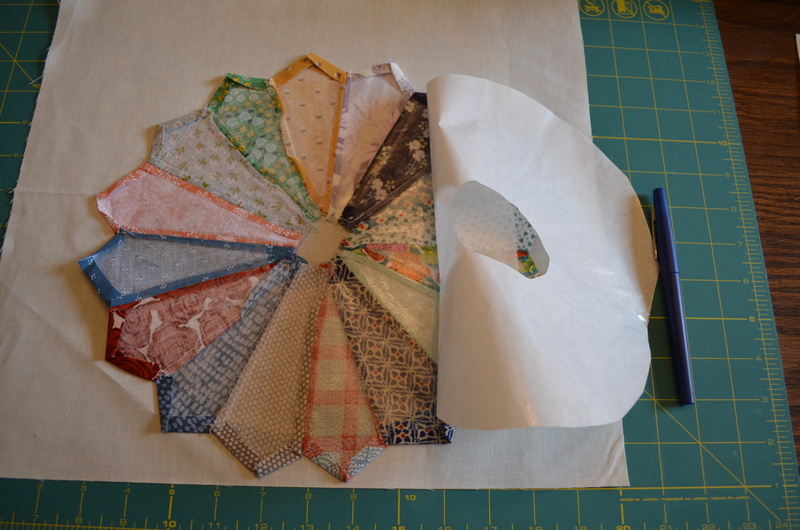 Stop periodically to iron the seams, and after sewing on the last row, iron the entire piece. 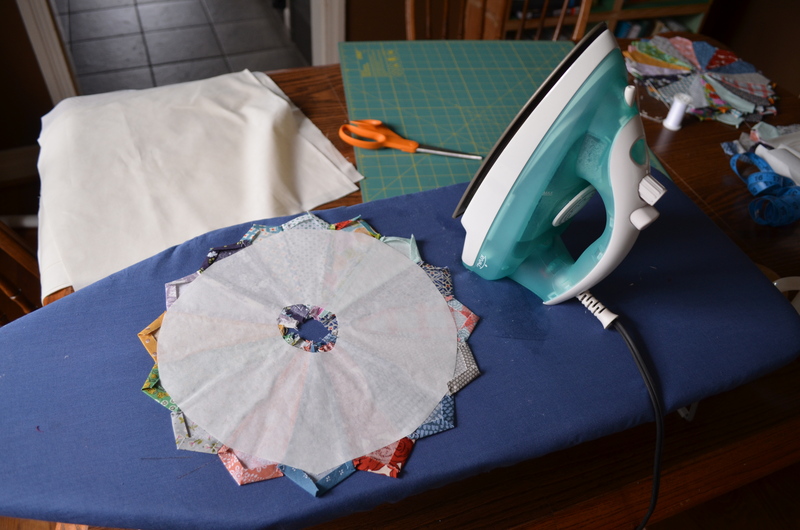 It is important to take the time to iron the seams. 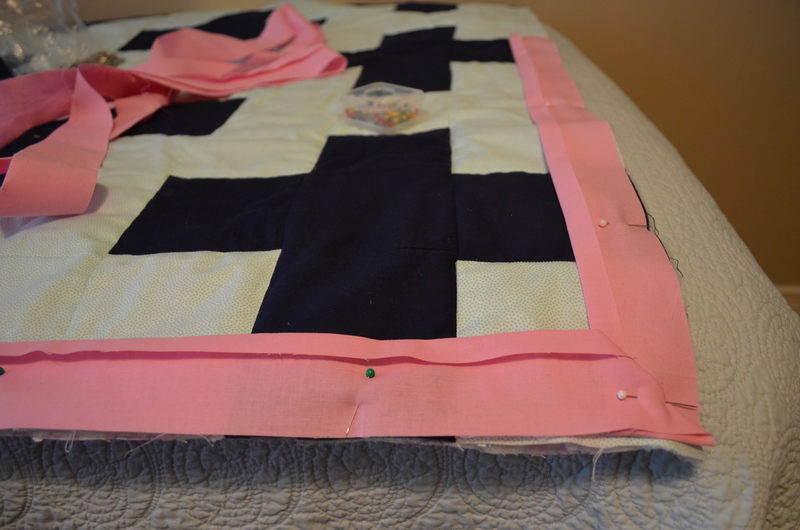 For this quilt I used the quilting technique called “stitch-the-ditch” (I explain further down), and you need your seams to lay flat for this technique to work. 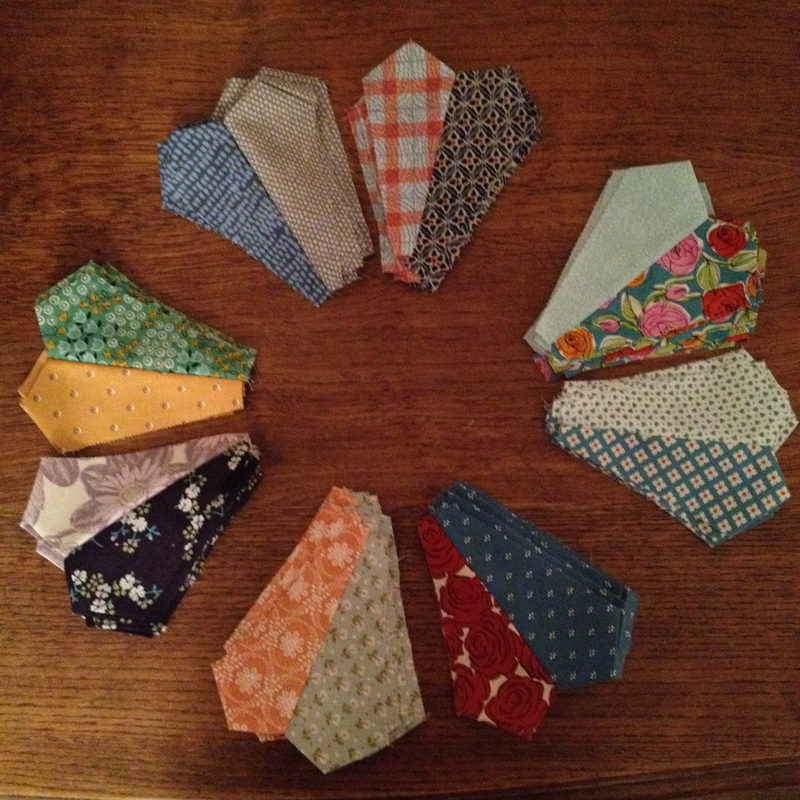 Before moving on to the next step, also take the time to cut off the loose thread from the seams. 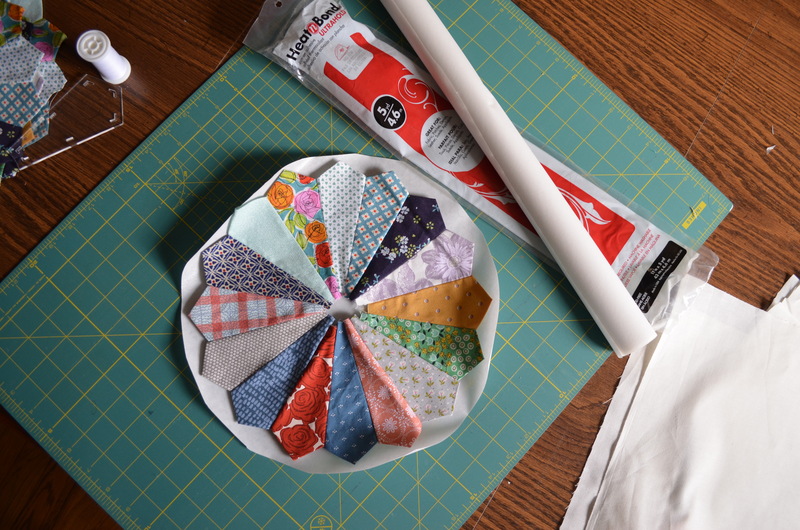 Now that you have created the front piece of your quilt, the next step is to layer the three pieces together and start quilting. I found an adorable floral print for the back piece. It’s a standard yard (36 x 44 inches). 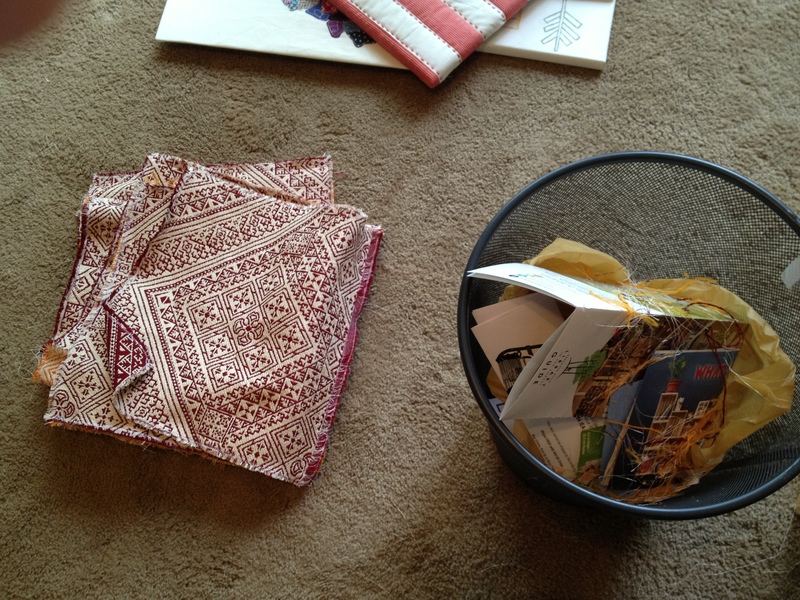 First, take the piece of batting and lay it on a flat surface (again, I use the floor). 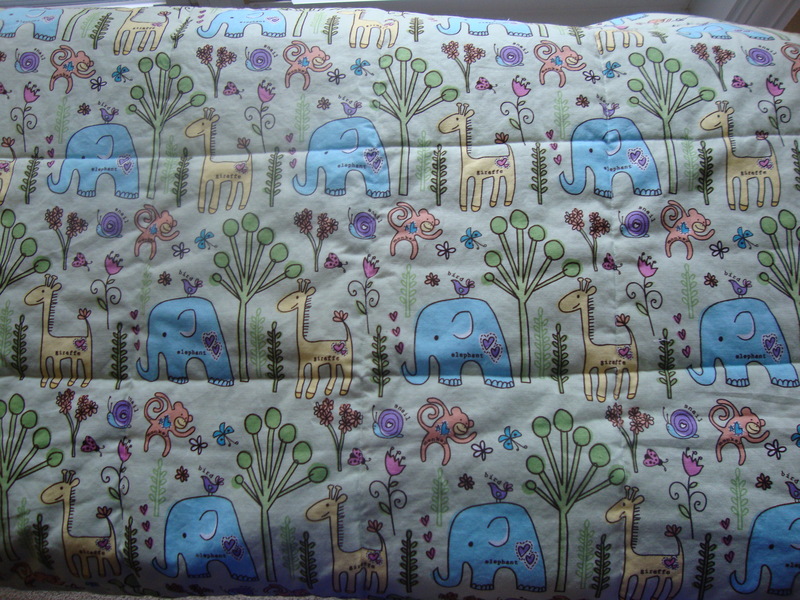 (I bought a crib-sized piece of polyester batting.) 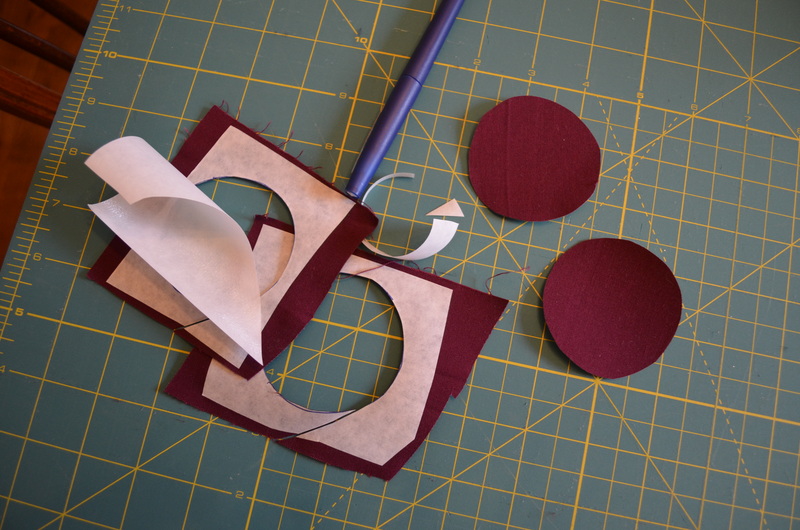 Take the front piece and lay it on a flat surface, with the wrong side facing up. Spray with temporary spray adhesive and let stand for a minute or two (this step is best to do outside). 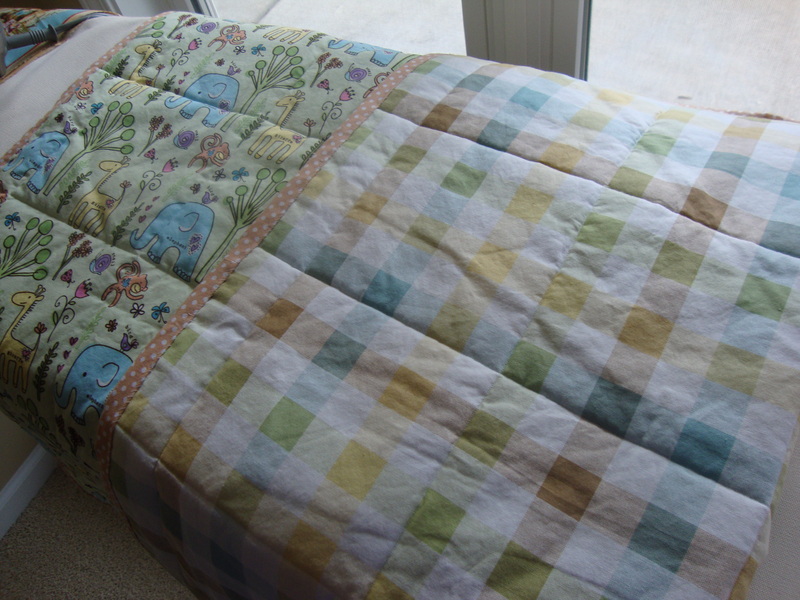 And then lay the front piece on top of the batting, smoothly the fabric as you lay it down. (It’s helpful to have a friend hold up one end as you smooth.) Flip the batting over and do the same with the back piece of fabric. 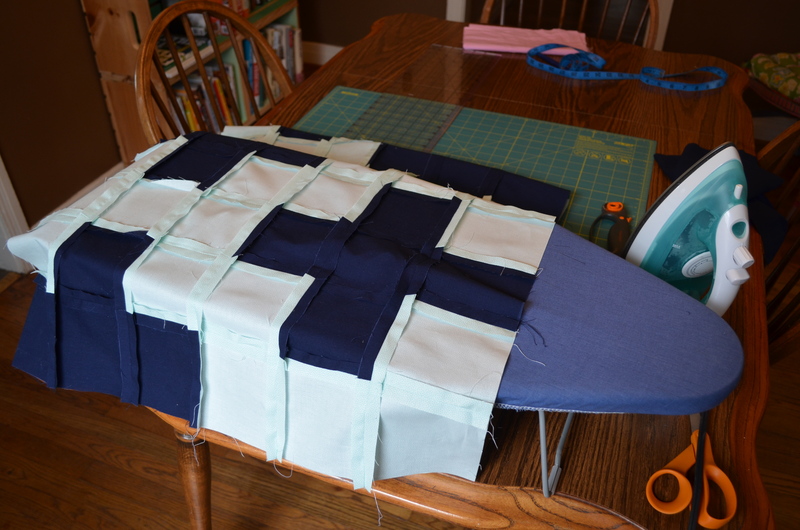 (The back piece is a larger piece of fabric, but still make sure it lines up with the front piece. 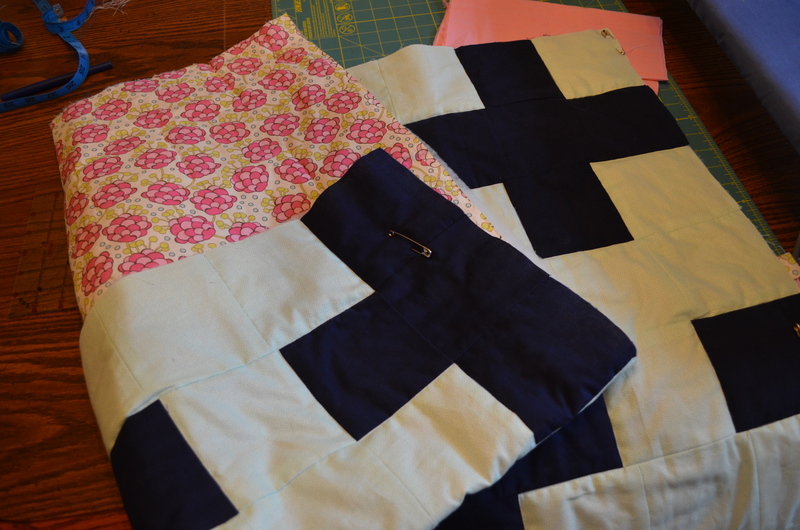 Once complete, I pin safety pins around the quilt as a precaution to keep the fabric in place. 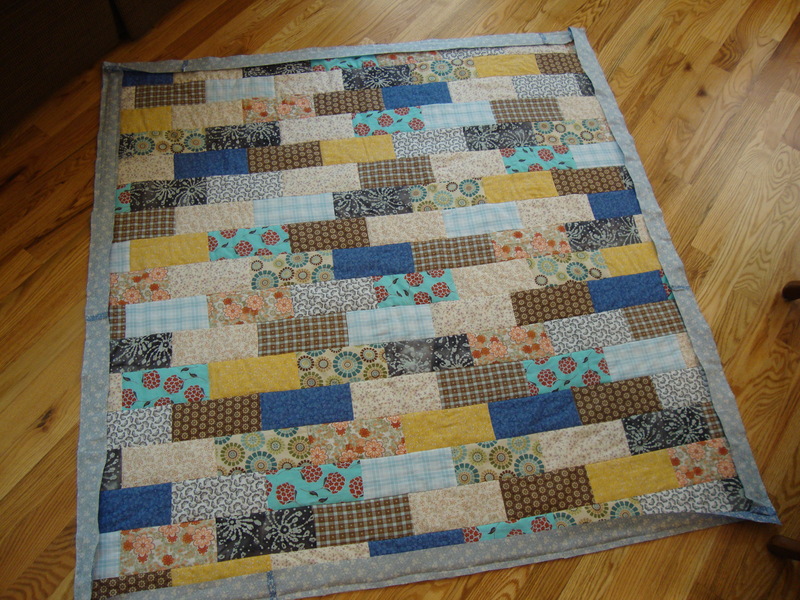 The next step is quilting! 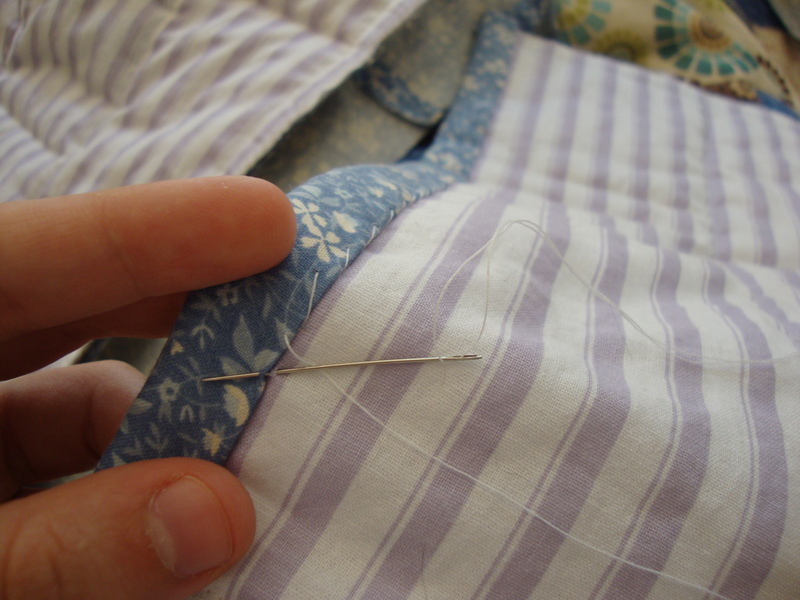 Using the “stitch-the-ditch” quilting technique, you sew along the existing seam, creating a quilting pattern that matched the front piece. 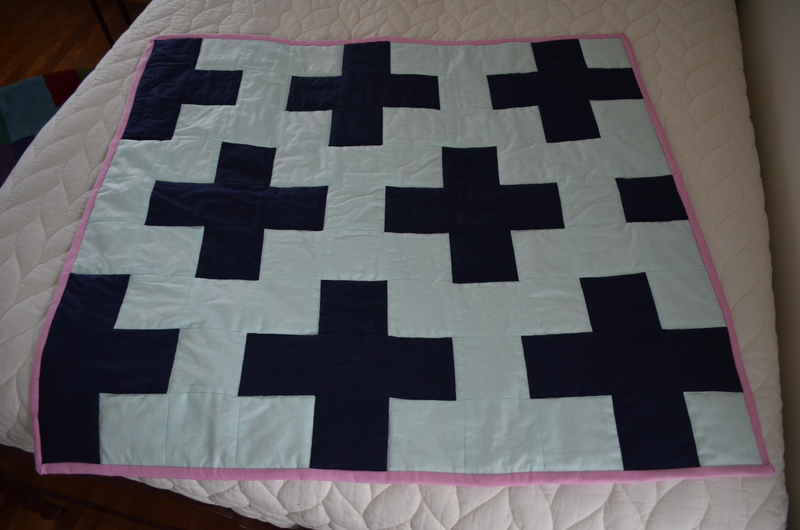 For this quilt, I sewed along the outline of each plus sign. 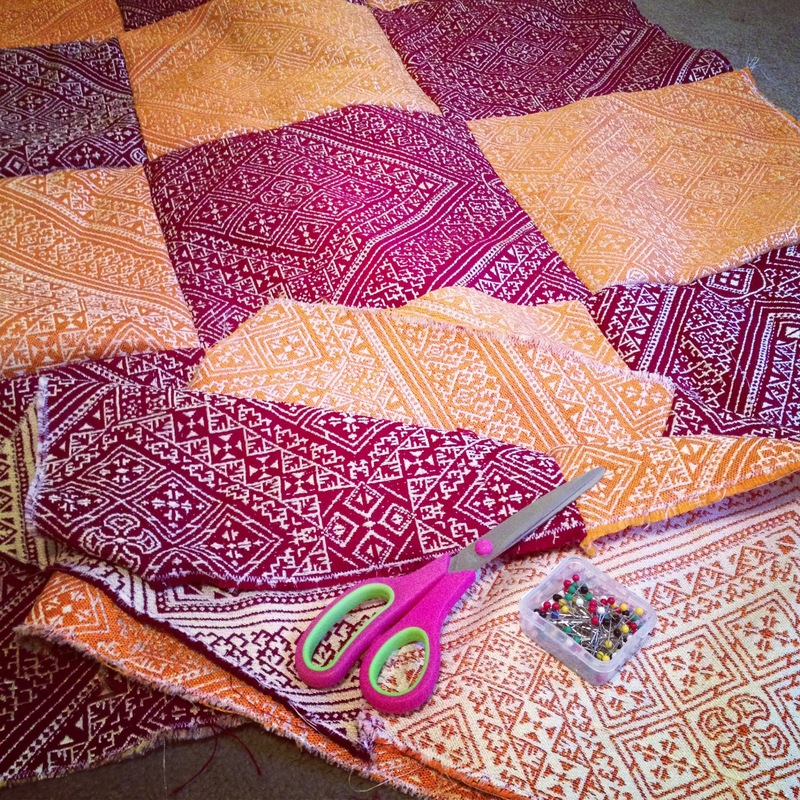 Once complete, cut off all loose thread as well as any excess fabric that extends beyond the length and width of the front piece. 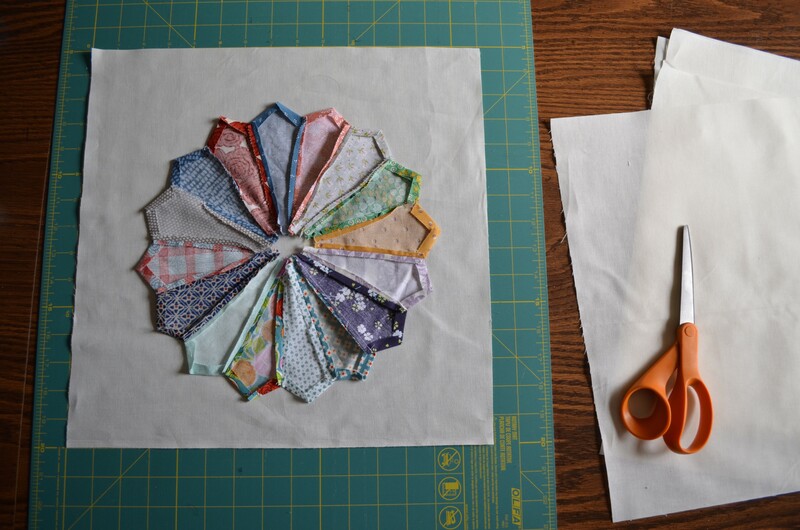 The final step is calling binding, the creation of the quilt’s edge. 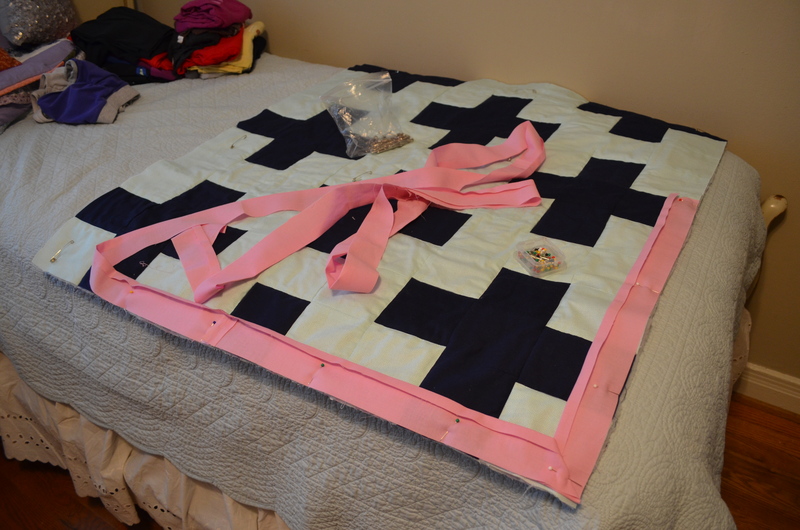 Since I had a lot of blue in a quilt made for a girl, I went with a pink binding. (I think it’s important to pick a color or fabric that helps connect the pattern and colors of the front and back pieces.) 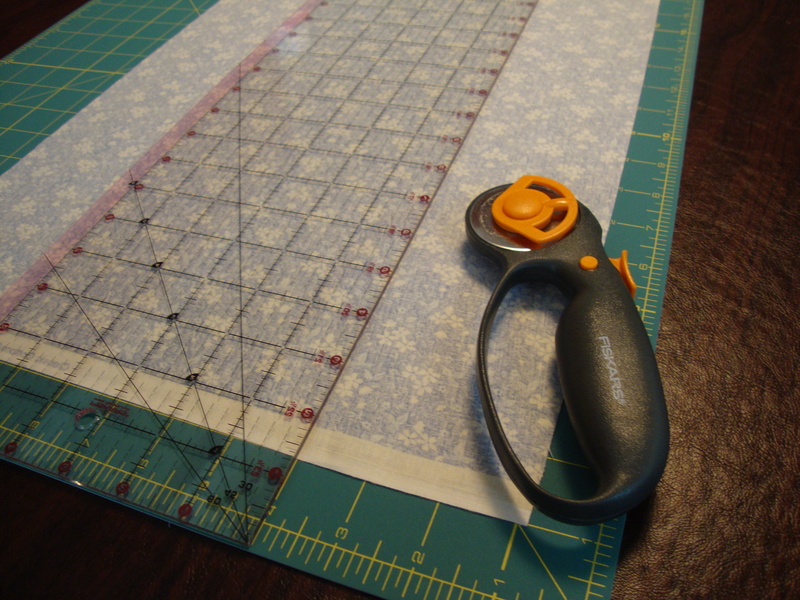 First, cut out several 2.5-inch strips, and sew them together so the fabric measure the lengths + the widths of the quilt. (I can’t remember the exact dimensions.) Iron down 0.5 inch on one side, and then pin the strip of fabric to the front side of the quilt (remember, always rights sides together). 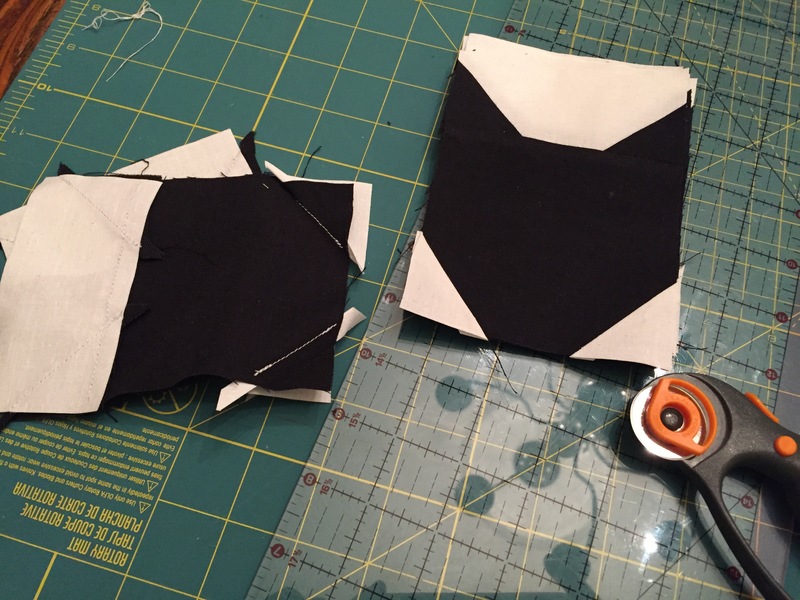 When you get to a corner, keep the fabric aligned with the edge, folding at the corner so the fabric overlaps (hopefully the picture can help explain). 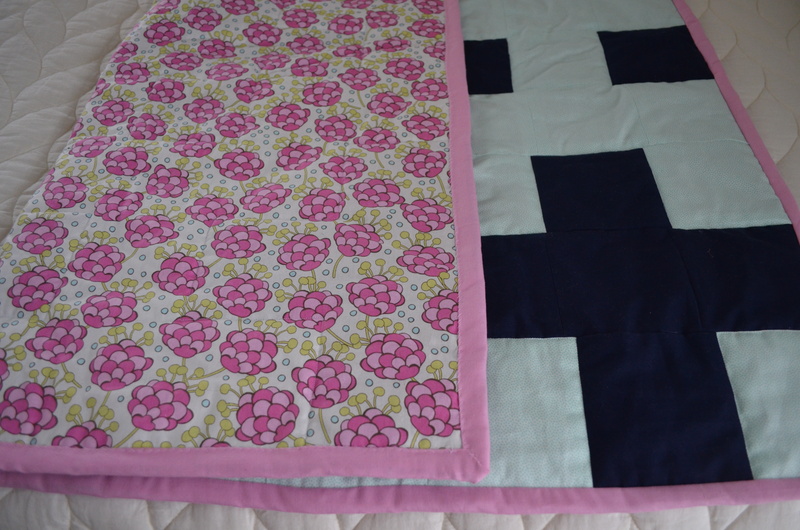 With the fabric in place, sew along the quilt’s edge with a 0.5-inch seam allowance. As you approach, stop sewing about 0.5 inch from the corner. 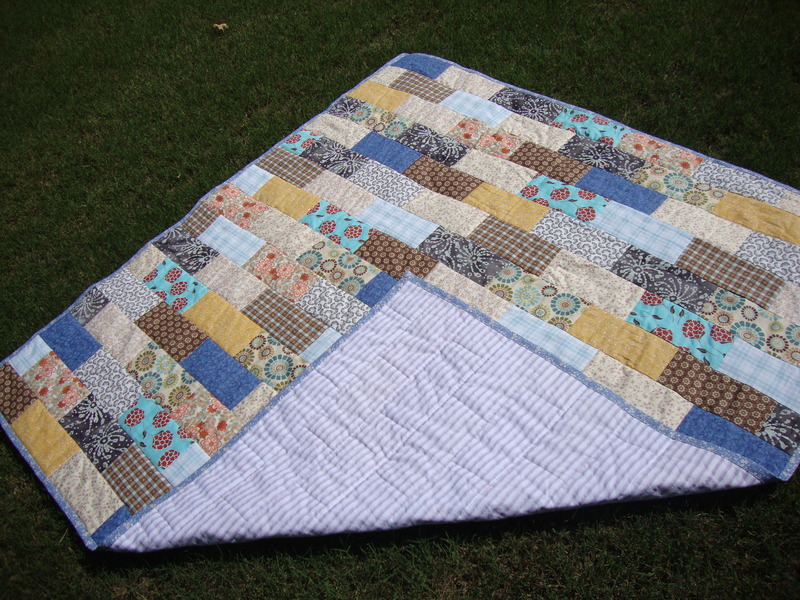 Remove the needle from the quilt, and turn the quilt 90 degrees. 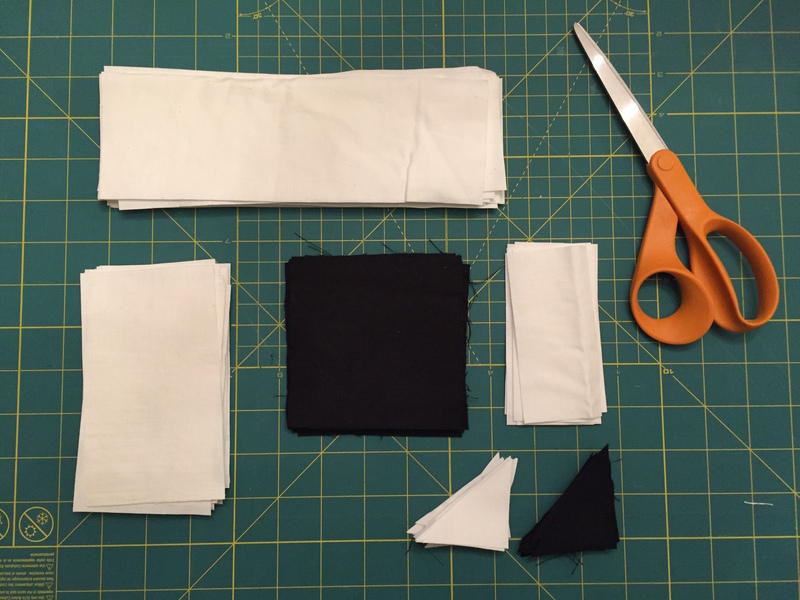 Because of how you folded the fabric strip, you’ll have a excess triangle of fabric. 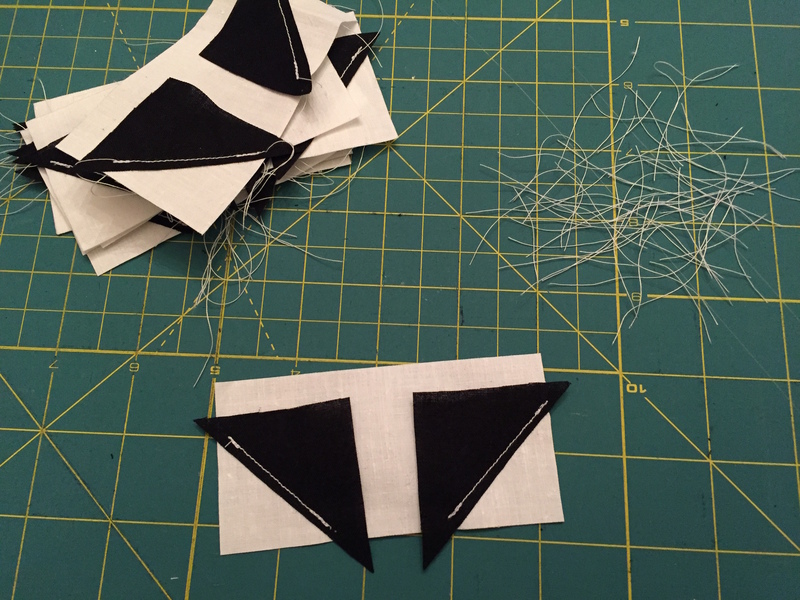 When you put your needle back into the fabric, make sure that excess triangle is out of the way. This process is hard to explain, but trust me, there are a ton of YouTube videos out there that are very helpful (especially for those who are visual learners like me). Before I finished the binding, I took a moment to embroider my niece’s name. These personal touches make all the difference! 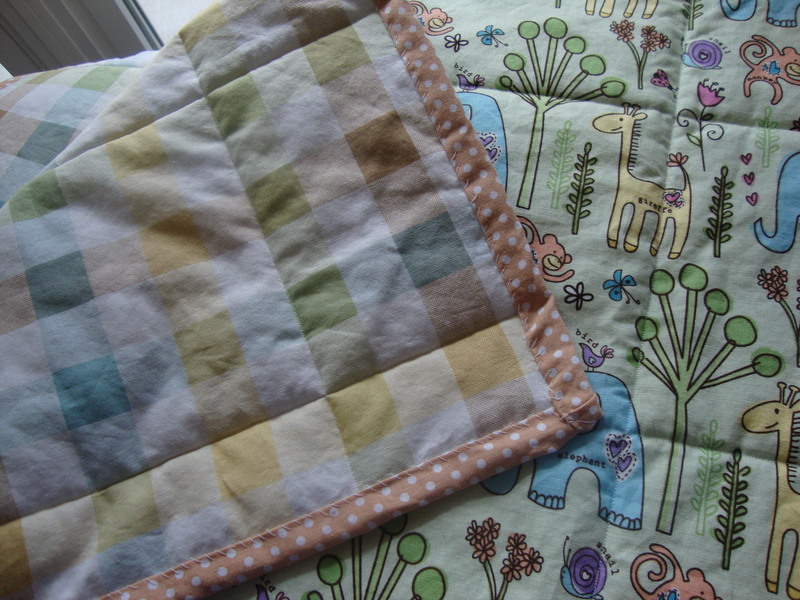 I love the modern twist to the classic gift of a baby quilt. (And I’m a huge of the navy, blue and pink combination.) I did finally get the chance to meet my little niece, and she looks crazy cute wrapped up in this! Having traveled to the cold land of the hot sun – aka Moracco – twice now, I have found myself with several meters of fabric that are calling to be used. 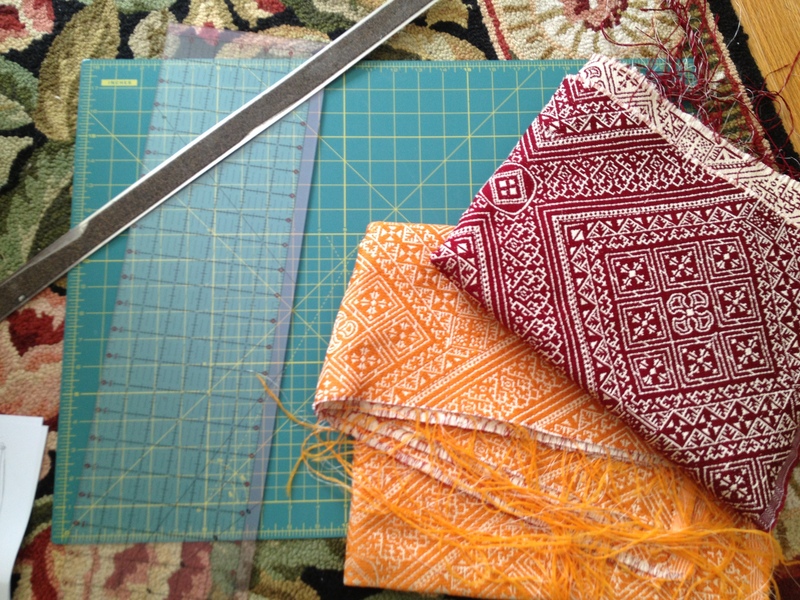 On my second trip to North Africa, I purposely bought a meter of a different color of the same fabric with the idea of making a quilt. 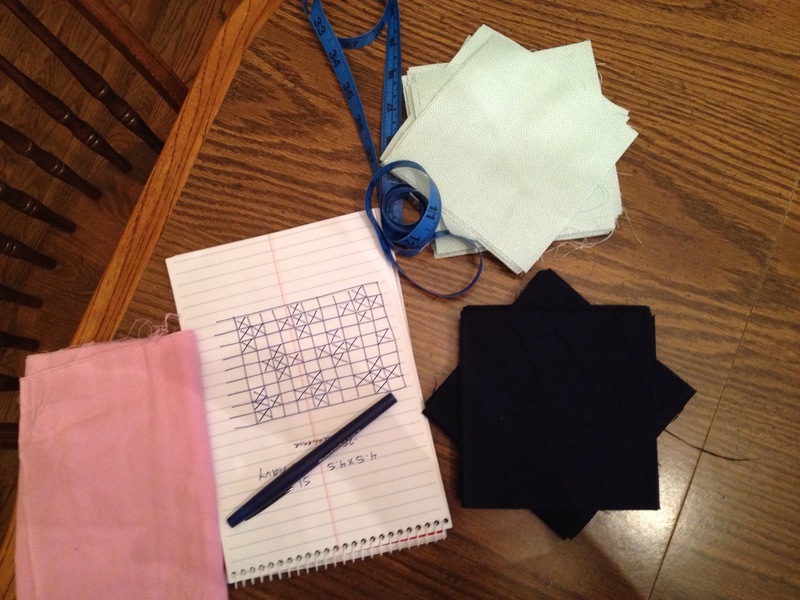 With such beautiful fabric, I wanted to keep the quilt simple, so I mapped out a basic square pattern – one that could easily be used to make a t-shirt quilt. You can see the dimensions I worked with in the picture above. 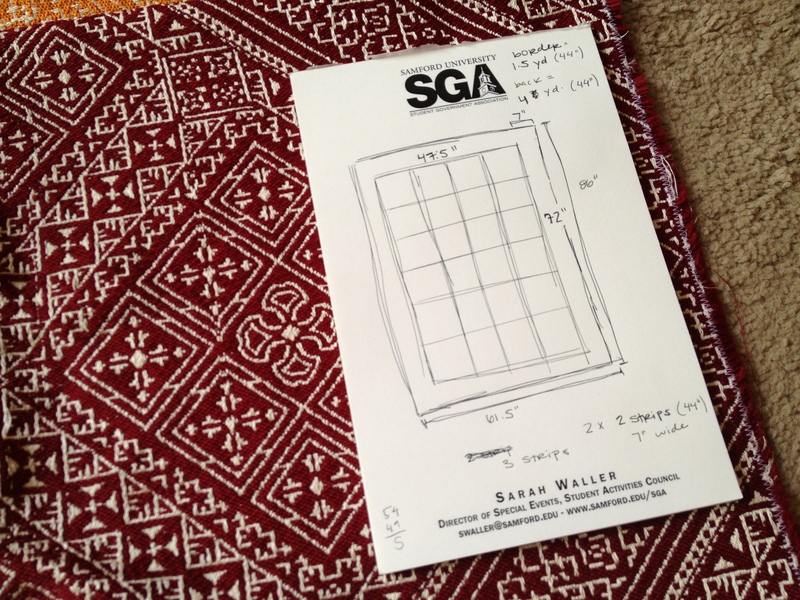 The squares were 11.5 x 11.5 inches, and I used a 0.5 inch seam allowance. 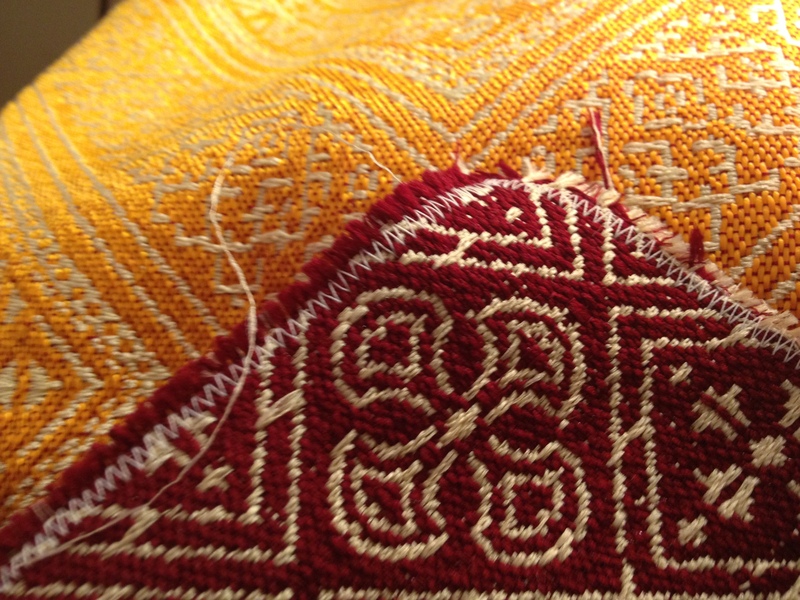 Since I was working with woven fabric, I prevented frayed edges by using the basic zigzag stitch to act like an overlocking stitch. It was a tedious process, but completely necessary. 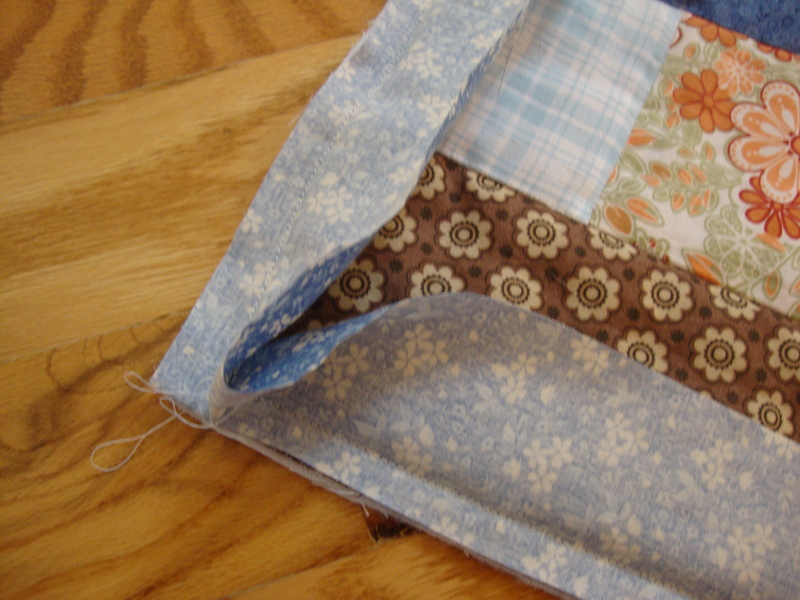 Fabric can still fray even after you stitch the pieces together. 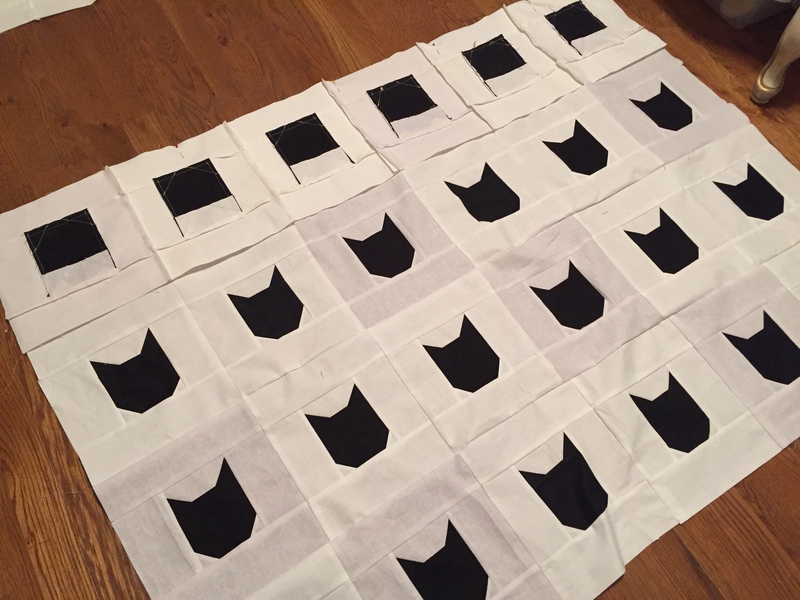 Once I finished the edges, it was a quick process to sew all of the individual squares into the rows and then the rows into a quilt. Again, I used a 0.5 inch seam allowance throughout. 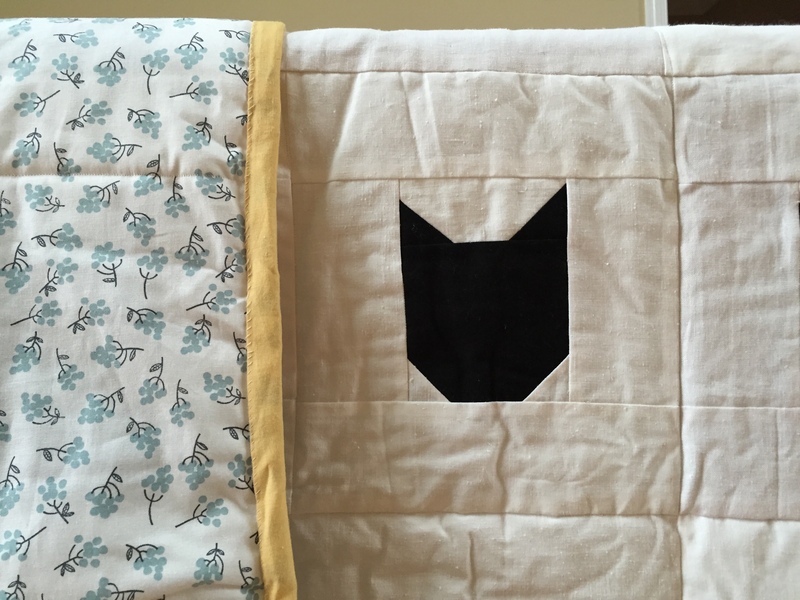 With the middle squares in place, I used a off-white canvas fabric to act as a margin of color – another simple touch to highlight the beauty of the fabric. The strips were 7 inches wide. I used the canvas fabric to match the thickness of the Morroccan fabric, but for the back fabric and binding, I used cotton. 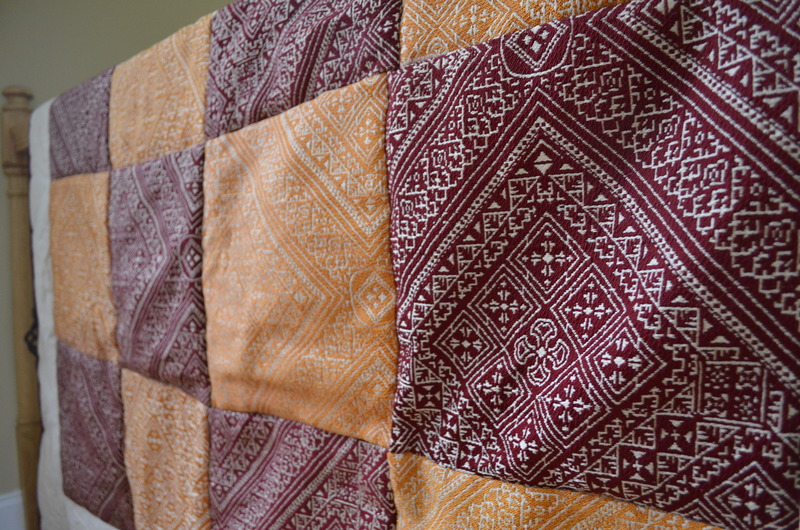 To see how I bind quilts, you can visit my previous post on the matter. I couldn’t be more happy with the finished product. 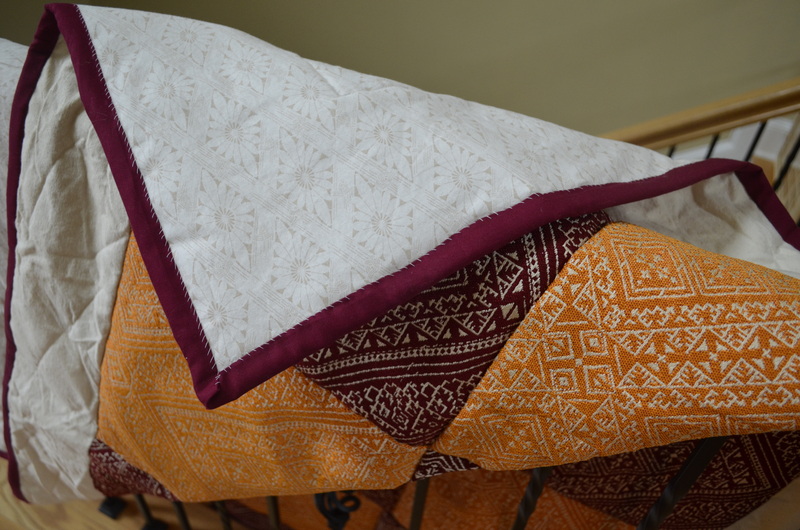 It achieved the goal that I wanted – something that could show off the beautiful, hand-woven fabric as well as encapsulate my memories of purchasing the fabric on my travels. You just can’t find fabric like this here in America – well, as least not for the price that I paid for them. I found the fabric for the back side of the quilt at Handcock Fabrics, and it worked perfectly. 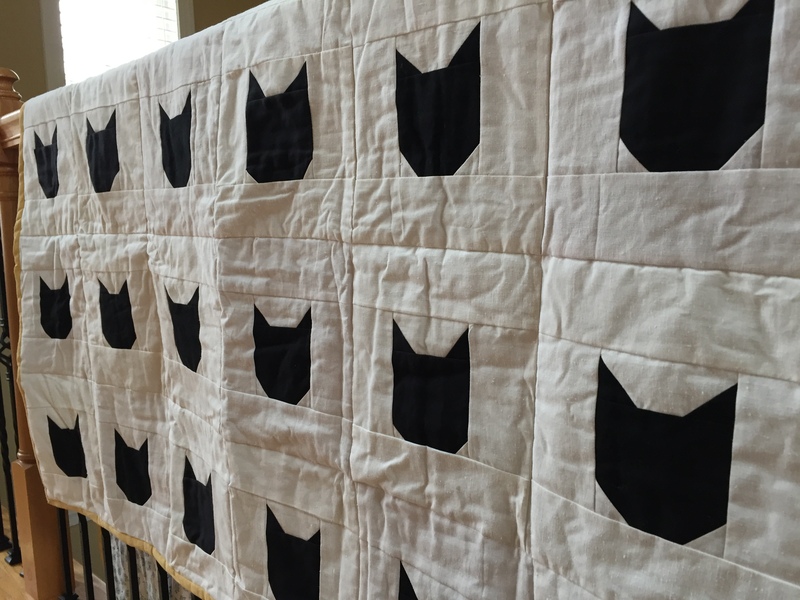 For the back side, I think the fabric needs to be simple enough to not trump the front, but interesting enough to add to the overall look of the quilt. This fabric did just that. 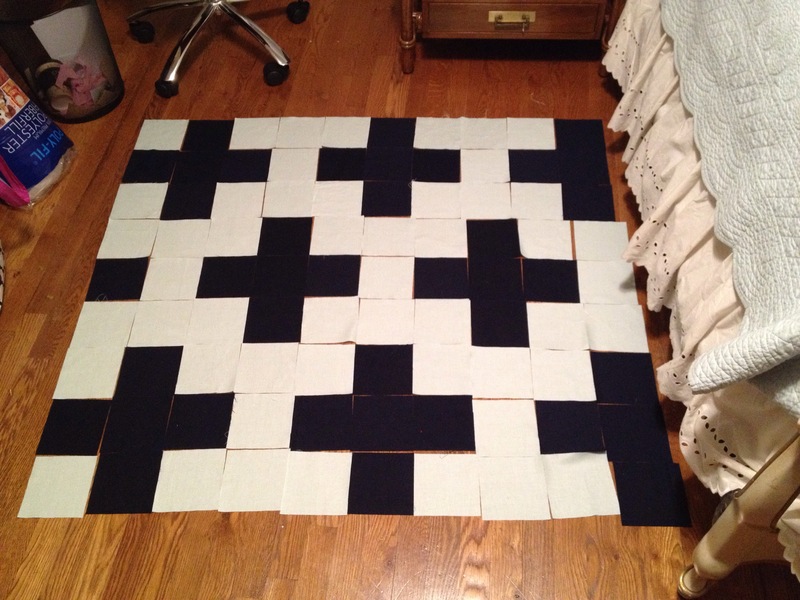 This pattern is easy and simple to recreate since pieces are large, and you work with straight lines. 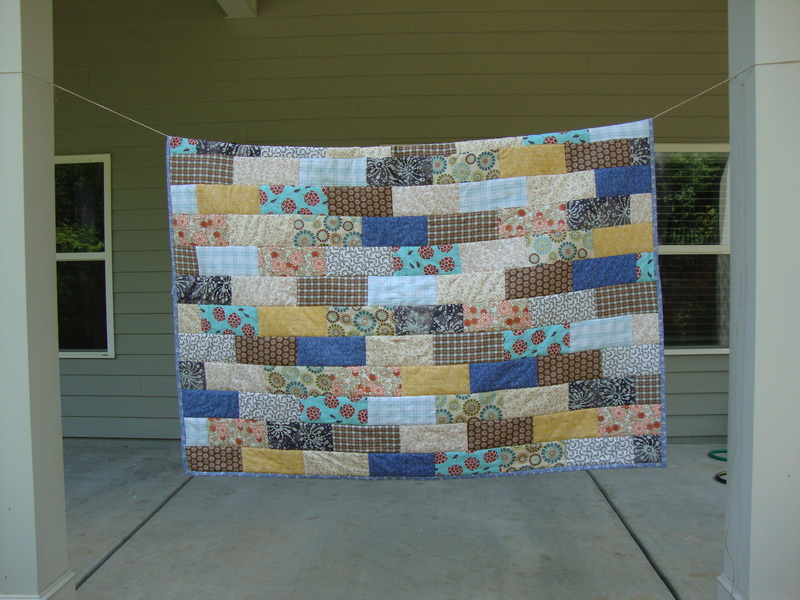 Please feel free to ask any questions you have; I would love to help you as you work to create a quilt for yourself. I started with the fabric. 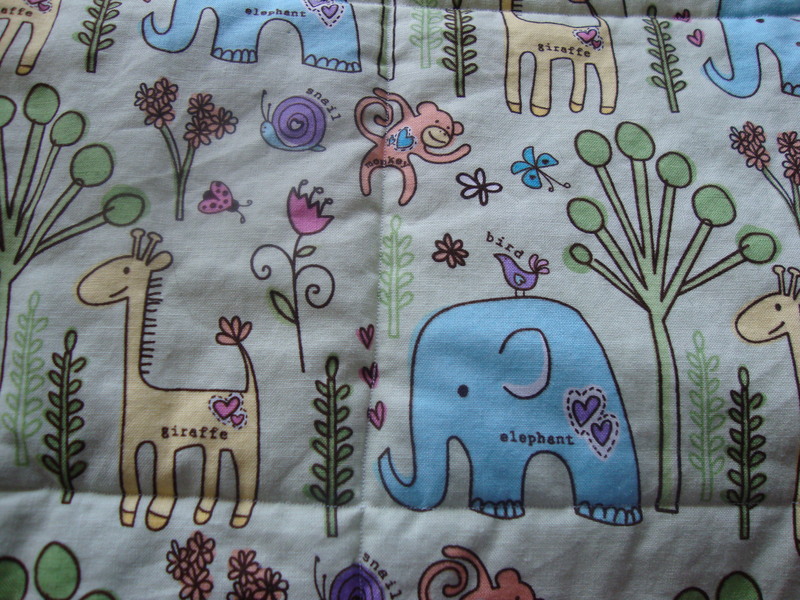 The map piece was a yard, so I purchased a coordinating yard of fabric for the back. Basting it together with a layer of batting, I purchased a ton of black embroidery floss for the next step: quilting. I traced each contient. Europe would have killed me if I traced each country. 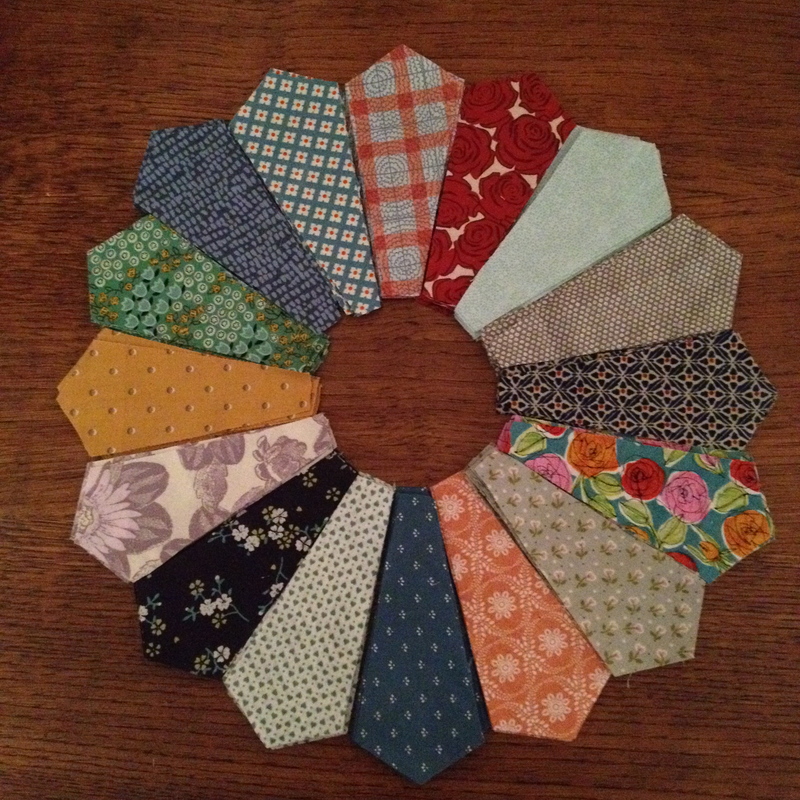 And I will tell you this, the process takes a long time (as hand-sewing does), but I think it is totally worth it. 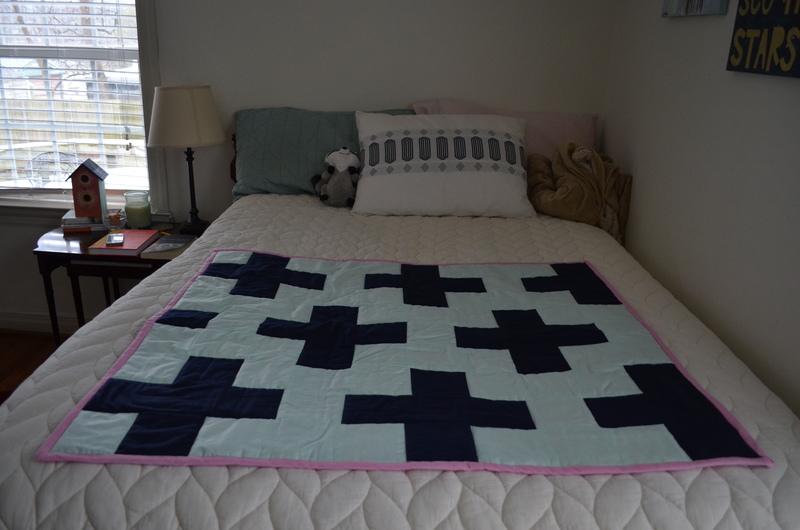 I did not hide the knots on the back, My initial thought was the quilt would be cute hung on the wall, so hiding the knots wouldn’t matter. By now I wish I took the extra time and did it anyways. 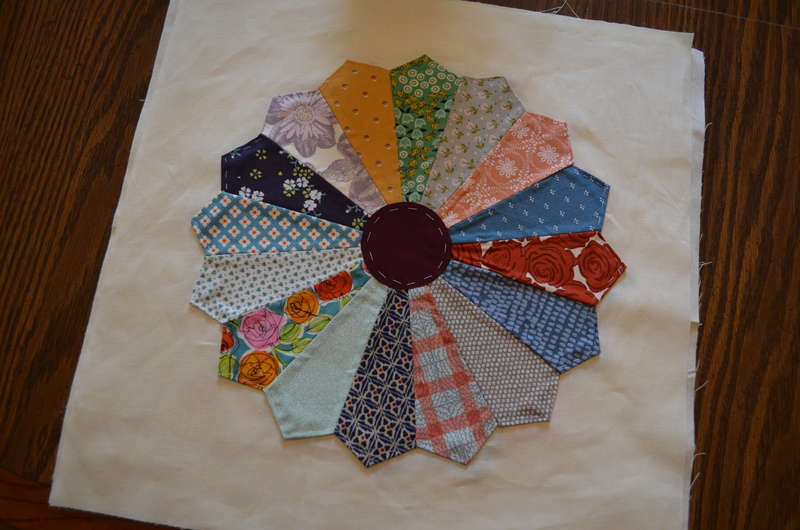 Once I finished quilting, I cut down the border to prepare for the binding. I only wanted an 1/2 inch edge. 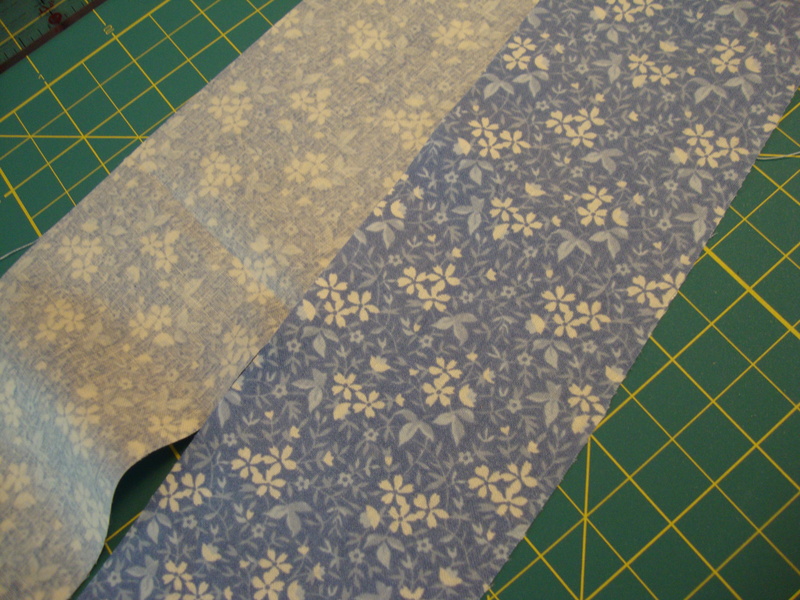 For the binding, I cut 2-inch wide strips. 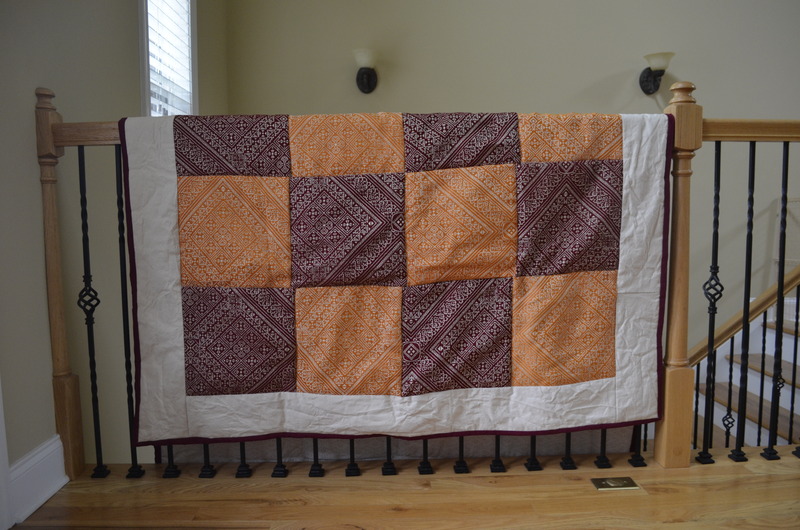 See how I finish quilts here.